Four years ago, Mr. Lucky and I spent our first Christmas together. I had just moved in, and I insisted that we get a Christmas tree. I am on team fake Christmas tree as I am allergic to trees. I also find that the ease of a pre-lit tree that I drag up from the basement every year is a lot easier on me than going out in the cold to find a live one that I then have to keep alive for a few more weeks. 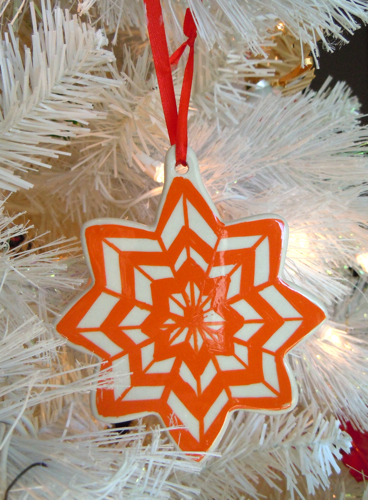 My husband is huge fan of color, and so over the years, we’ve bought a number of very colorful ornaments. 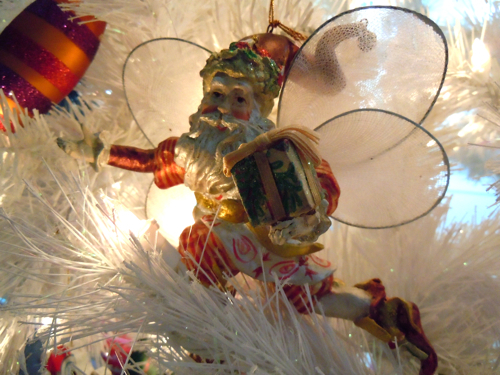 I love to pick up ornaments from places I’ve been as a memory keepsake that I can pull out and remember every year. 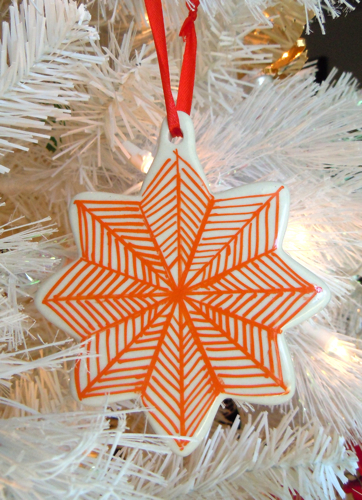 This year I painted an ornament to add to the tree. You can see my post on it here. 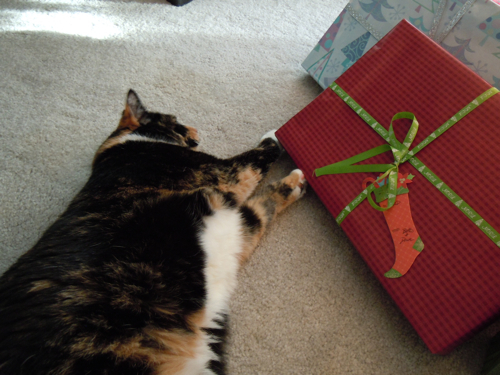 It looks like one kitty is going to be getting coal this year. My favorite part of Christmas is just looking at the lit tree at night. I love the lights, and the soft glow they cast on the room. Looking at all the pretty things on the tree, and thinking about all the memories I have of wonderful experiences and places I’ve been so fortunate to visit. Every year when we pull out the tree, my husband says “Do you think it’ll last another year?” And every year, after it’s all decorated, we just stand and stare at it, loving how it looks, wondering how we could ever question the tree. It always feels like like we’re stuffing the tree full of ornaments, but as I look at it now, I see there’s lots of room for more. More memories, more Christmases, more love. 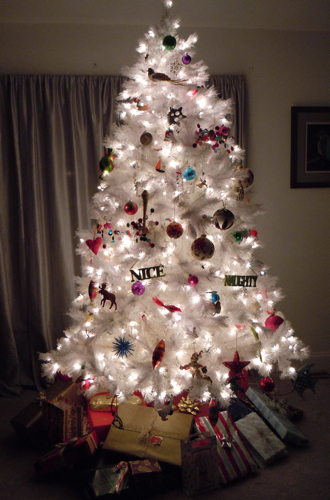 Love your tree and the ornaments you’ve chosen are fab! Dying for a white tree! Thanks Carol-Anne! 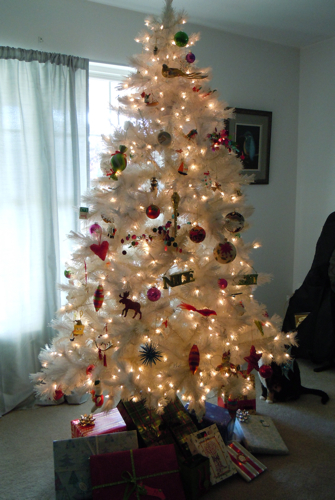 I wonder how long flocking would stay on a fake tree…? I love your take on fake…. You have a beautiful tree!